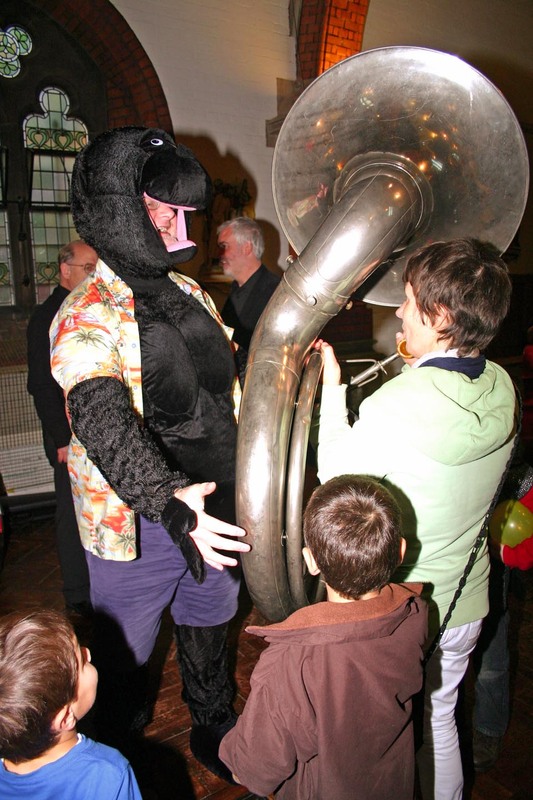 Little monsters are invited to put on their best fancy dress and indulge in a spot of musical mayhem on Sunday October 12th at one of St Albans Symphony Orchestra’s popular annual concerts for children (2pm & 3.30pm, St Saviour’s Church, Sandpit Lane, St Albans). Children are, as usual, invited to dress up as their favourite monster, superhero, film or fairytale character for a mystery adventure in music devised by SASO’s conductor, Bjorn Bantock. By tradition, members of the orchestra will be dressing to thrill for the occasion, too. Favourite film scores feature heavily in the programme, which includes music from Jurassic Park, the Pink Panther, the Wizard of Oz and Raiders of the Lost Ark alongside excerpts from classical favourites by Arnold, Beethoven and Strauss. 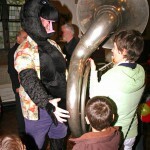 During the interval there will be a super-noisy opportunity for children to try out some of the players’ instruments. Dressing up is not compulsory, but the orchestra hope as many children as possible will decide to join in the fun.